Fresh coconut water, straight out of the coconut, has got to be one of my favorite beverages of all time. 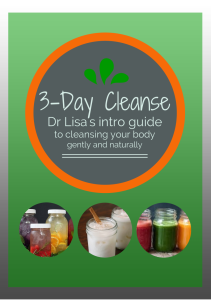 I’ve been drinking it for about 8 years now, but I’ve definitely noticed a recent rise in interest, especially among the raw and paleo diet crowds. So what’s the deal? First of all. . .the unique experience of drinking coconut water delights me every time. It’s incredibly refreshing and delicious, with barely a hint of coconut flavor that leaves you wanting more. It’s high in electrolytes so it’s very hydrating which makes a superior alternative to sugary, artificially flavored and colored sports drinks. It’s the closest thing to blood plasma that’s found in nature and can actually be transfused in place of blood because the water inside is sterile. But if you’re NEW to the coconut trend, it can be intimidating. Let’s break it down. The good old brown coconut is probably what first comes to mind for most people. These are mature coconuts that have had the outer husk removed. The meat is very dense and dry, and the water inside is very rich and sweet. They have about 10 times the number of calories the young variety has, which we’ll get to in a moment. That’s probably what originally gave coconuts a bad wrap. Fortunately, that stigma is changing. Next we have the big green coconuts, you may have seen these and not even known what they were. When coconuts come off the palm, they’re WAY bigger than you might think, each weighing about 3 pounds. Quite a lot of what you see is the husk and outer shell, with only about 12-16 ounces of water contained inside. 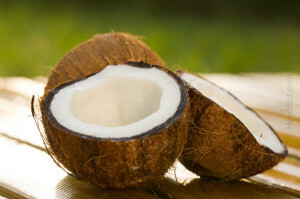 The flesh will vary based on how young or old the coconut is. Here in the U.S., unless you’re in Florida or Hawaii, you probably won’t see the big green coconuts because they only grow in tropical locations. In tourist spots, you can pay some guy at a road stand $7 to whack off the end with a machete and pop in a straw so you can drink the water. When I go to Hawaii, which is as often as possible, I buy in bulk and open them myself. I use a special little tool called a Brazilian coconut opener to pop off the flower and make a hole right through the shell. 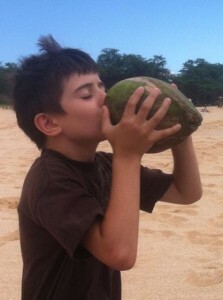 The water can be poured out into a container or it’s fun to drink it right out of the coconut like this. . . The water from the Hawaiian coconuts can sometimes be slightly sour, slightly sweet or even effervescent. Not knowing what surprise you’ll get before you crack it open is part of the fun. Next we have the Young Thai Coconuts. I capitalize this because they’re almost becoming a brand in-and-of themselves, but not really. This is typically what you’ll find in restaurants, grocery stores and what most people use in recipes, mostly due to availability and ease of opening. They have become staples in the raw food and Paleo kitchens, at least here in Southern California. When you first see these young Thai coconuts, you may be completely puzzled as to what you’re looking at. They start off big and green just like the others, but for ease in shipping, the outer husk has been cut away and shaped into what looks like an inverted white cone. This also makes it much easier to access both the water and meat with a regular kitchen knife. People have all different ways of opening coconuts. Here’s how I do it (I found this video for you), but you can experiment and see what works for you. When you open these, watch out for pink or purple flesh or water. That’s an indication that the coconut has somehow gone bad and you won’t want to use it. 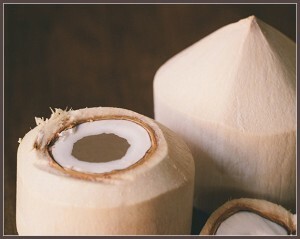 And if you’re wondering where to get fresh coconuts, try health food stores, Asian markets or Whole Foods. I usually expect to pay between $8 and $15 for a case of 9 or 12 coconuts. They’re significantly more expensive when you buy them individually. 2 Comments on What’s the Deal with Coconut Water? It is expensive and totally worth it the closest thing to drinking directly out of the coconut I’ve found. It does need to be refrigerated. Yes! Harmless Harvest is great. Thanks so much for the reminder, Malama!